When you want to send your best wishes, this is the bouquet to choose. 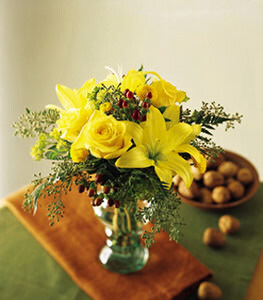 Sunny yellow lilies are combined with yellow roses, yellow button pompons and assorted greens. A great bouquet to make their day.